OMG Posters! 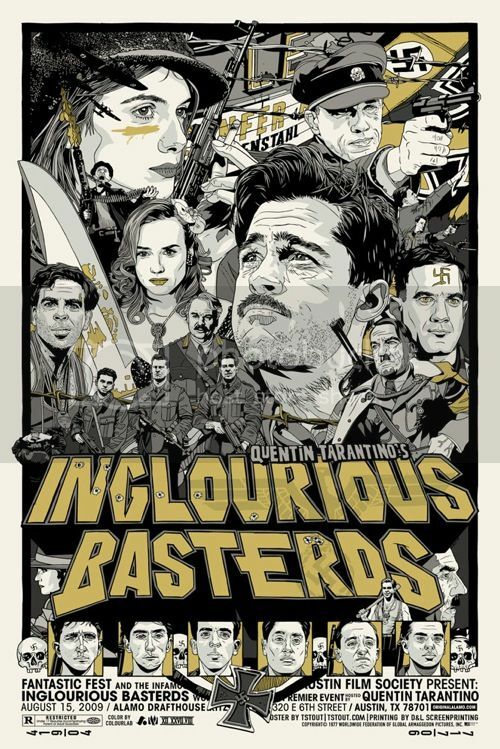 » Archive Tyler Stout's Inglourious Basterds and Phish Posters (Onsale Info) - OMG Posters! Ah, the time has finally come, and this should be a big one. 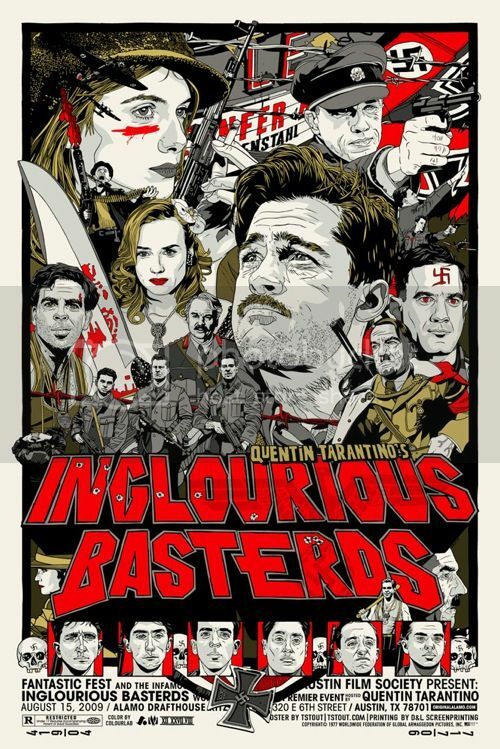 Tyler Stout will release copies of his Inglourious Basterds and Phish posters tomorrow in a new place (a mini store to help control inventory). All of the info is listed below. These go up tomorrow (Wednesday, September 2nd) at 12pm PST. Visit Tyler Stout’s new mini store. anyone get lucky with his lotto? I hung out with TSTOUT yesterday and he is truly sorry about the sale situation. He tried to find a system to make it even easier for people to order and it bit him in the @$$. He is trying to do what is right for his customers and fans but big cartel wasn’t able to handle the bandwidth and is completely at fault. Am starting to realise that I will have to check Ebay for his older work. Do any of you know if there are a lot of fake posters being sold…. are emails still being sent? Don’t think there are really any fake Stout prints floating around. Postercabaret.com has about 15 of his prints for sale and of course PostersandToys has some of his more recent work. 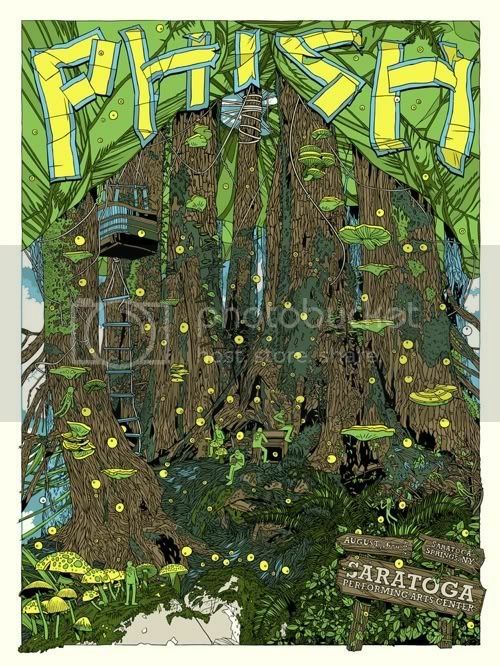 You’ll also find some of his gigposters available under the poster section of his own website. But some of those older prints will be hard to find. @dwlfennel ok I lost, too bad… thanks for the info… I saw that there where 2 IB variant sold at Ebay yesterday.. one went for around 200 and the other for 300.. I should’ve enter that race. missed out and didn’t win the raffle. anyone have an extra IB posters they want to sell me? pls contact me at og2gucci@gmail.com. To spice it up: 400,- Dollars !! !